Local author, Coleen Merk, releases new book with sale on downloads. 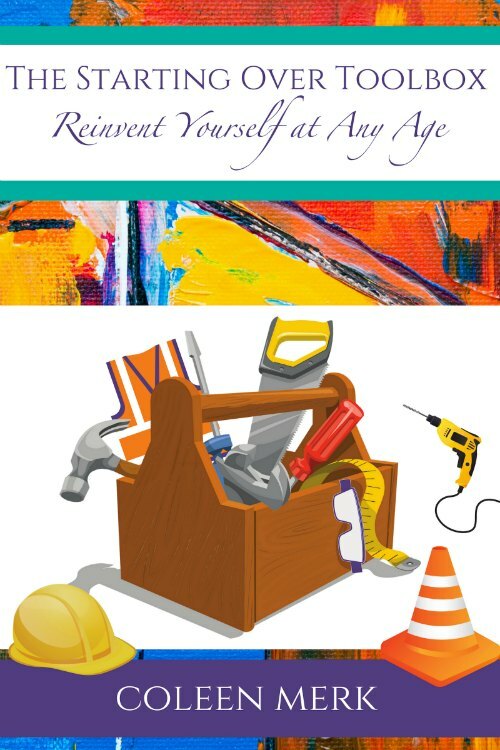 Author and Speaker, Coleen Merk, releases her new book “The Starting Over Toolbox: Reinvent Yourself At Any Age,” which takes readers along the journey of starting over completely at age 60. Author Merk shares comical stories of relocating from the city to the country, along with valuable life lessons she learned along the way. Readers will be laughing out loud as they read along, nodding their heads in agreement with her truth bombs, and smiling as they reflect on their own unique journey. Her ‘toolbox’ is comprised of various metaphorical tools, complete with how to use each one in your daily life and throughout turbulent times. Even if you’ve never used a skilsaw before, you’ll relate to the story and understand how to dig deeper to find your own tools to start over or overcome difficult days. This book is sure to be a lifeline for anyone facing the daunting task of starting over, overcoming grief or tragedy, or just wanting to reinvent themselves and become stronger. Starting tomorrow, the e-book will be on sale for only 99 cents, so be sure to orders yours before the price increases to $9.99 on Tuesday, February 12, 2019. For speaking inquiries, bulk orders or other requests, please contact The Every Heart Project. Author, Coleen Merk. is an artist, author, and speaker. She has taken her passions and experience to upcycle and repurpose what most would throw away and create unique, one-of-kind decor and furniture. When her crazy, eclectic ideas are beyond her “construction skills” she has an extremely talented husband who does the carpentry part to bring her pieces to life. Most of the pieces she makes come from their construction business job sites, discards people give to her, and what she finds at the flea markets. Her goal is to give new life to each piece that she creates and save the landfill, one piece at a time! A few weeks after turning 60 she and her husband, son and daughter chose to completely sever ties with a situation that they found themselves in, that was both toxic and exhausting. When not writing about life after 60, she is a speaker, encouraging others you can upcycle and repurpose yourself! After 14 years, she left the corporate world to homeschool their two children. She is office manager for their residential construction company. As an empty nester, she is putting her experiences, passions and talents together to make a difference and inspire others to achieve their dreams.